So today has been busy, well my today as I haven't been to sleep yet. My teaching schedule is locked for the next year. I have an idea of what I'll be doing for the summer (meaning yeah money) and I have a committee appointment. It was a busy few hours lol. And after watching the Heat lose game four (go Pacers) and dealing with Mrs Shops a Lot I sent a text to my hair dresser about my nifty plan to dye my hair gray cause you know my plans are always air tight and stuff. Turns out yeah not so much lol. We would have to completely bleach my hair first and then dye and it and that would likely result in some serious breakage. I told her that sucked and she laughed at me. At least she didn't say sure dummy let's see how much of your hair is left once we're done and do it anyway. Soo AAUGH!! 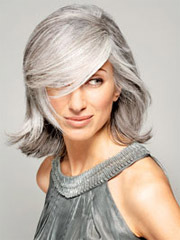 to my dramatic gray hair plans but have to love someone who is good at taking care of me and all my silly ideas. I am so going to miss her I swear. I'll have to email her after I get settled and decide on a new hair dresser which I am totally not looking forward to. I really don't mind the gray I just mind how quickly it grows out when I add any color to it. I was actually looking forward to the gray and black look. Oh well. Off to make new strange plans. Sorry for the radio silence everyone. I have a very annoying skin condition that flares up randomly and can be incredibly painful. Well I got a new one in a new location for me and it impacted my ability to finish my wash day and write back to you without wincing and dropping multiple f bombs. I tried another tactic today and at least I'm able to right. I had to rewash my hair and after taping up the offending area and applying some cortisone to the area I spent 90--yes that's right 90--minutes detangling my hair mostly dealing with annoying knots that came about from not having finished the wash day several days back. All I did tonight was detangle, twist and put each section on a flexi-rod as I was able to move through them. I will revisit them again tomorrow with another layer of conditioner and seal it up properly. Between the lingering pain in my arm, the temperature in the house and the effort of moving through my hair I was literally sweating when I was done. However, as I was moving through all of my hair I noticed that the multicolored was worse than I thought. Especially if you lift up a section here or there and then you get this massive shock of gray. Ahh freaking hair. I think the poll expires sometime tomorrow (technically later today) and right now ombre is winning. If you would like to get in on the voting here's your last opportunity. Click HERE RIGHT HERE to look at the photos of the hair color options I've included in the poll. Sorry no photos today, I was dumbfounded by the knots and hair loss. Should I Dye? Just Dye?!?!?!?!? The sound can be deafening when you are trying to sort something out and ask for guidance. After another protracted conversation with my ex I was a little confused. How did we get to the place where we were both so angry and frustrated with each other? I tried to distract myself for a while and before I went to my old trusty source of information about all things relationships when I was younger. Of course internet readings (those would be psychic readings) can be both silly and sometimes frighteningly accurate (the link may not work now so don't be mad at me if it's not lol). The thing that stuck with me though is partially the answer to my question of how did we get to angry central. The card in the center represents the present status or challenge of the relationship. Two of Tomes (De Vermis Mysteriis), when reversed: The erosion of power and influence. Failing to articulate goals or establish a vision for the future. Being caught off guard, due to an inability to come to grips with the impact of past decisions. Obstinate and irresponsible leadership. Loss of interest, clarity, or faith in a venture. We both made decisions out of a belief that we were doing the right thing at that moment. And while there are good things about dating someone like you the bad thing is sometimes your worst features get amplified like a sonic boom. I have trouble apologizing or even sympathizing when I think what I did was for the best and that you were wrong. I can't say that's how he feels but the conversation hit the same skip in record it always does. Hurt feelings are hard to move beyond. We were both waiting for the other to do something that yeah wasn't gonna happen. The weird thing about me though is I'm super not a normal girly human. When I shut emotions down I'm much more like my dad than my mom. I get sullen and silent and withdraw. I don't yell I don't scream I don't outwardly show anything that might even be mistaken as caring. It's hard to date me as I result I know but I also don't make it a secret that that is how I will react to things. I'm usually pretty direct about that too. This is partially why I always think I won't get married. Dating a woman that thinks like a man is one thing. Marrying one who isn't going to do the normal tantrum thing may drive someone slightly insane. I ran errands and took along my trusty mood sensing Zune. I'm sure you would love to have one of those, well maybe a mood sense Ipod but I'm a Zune gal. And truthfully I have no idea how it taps into when I'm moody but it does. Played all the right songs as I ran to the library, post office, a doctor's office and Burger King because at 3 in the morning all I desperately wanted was a Whopper. But I refused to get dressed enough to go get it lol. I love the Zune, I love the tracks that played and I'd love to have an empty house today but alas there's no hope of that. Today is usually pretty rough for me because I'm missing my dad a LOT. Today is the 12th anniversary of his death and it was hitting me hard because I'm in transition right now and he was always such a great support when that was the case. He'd be calling me by horribly embarrassing nickname that I will never ever repeat mostly because it was Asian and no one knows what it is but because that was our thing too. I was admittedly moody as hell most of the day. I woke up late, mom was annoying me even though it wasn't her fault, and I was really trying to figure out how to hide from the remaining hours in the day. HOWEVER, running out to get the lottery tickets so she could prayerfully win the powerball, buy a house in Texas and mostly live there (oh if wishes were unicorns lol) actually jump started my day. I came back mowed the front and back yard in between filling out her annual paperwork for another disability payment, showered cause I was a nasty sweaty damn near having an asthma attack mess when I came inside, watched youtube to figure out how to use our trimmer to do some edging tomorrow, ate dinner, watched the Knicks lose (YES!!!!) and now I'm chatting with you all. I also got some paperwork I needed to make sure that I actually HAVE a job in the fall. I hate doing background checks because I'm always suddenly worried that when I'm asleep I secretly morph into another human that has a criminal background and still uses my SSN. Ok that's pretty far fetched I know but you would be surprised how many places I've lived when people have sworn I was someone else they really know and love and get offended when I forget who they are like I really have a split personality and I'm the only one that doesn't know. Not kidding on that one. April was apparently a clone when I was living in Indiana before. Never met her but she was awesome and adorable if she looked like me lol. See I'm laughing that's a good thing. And I talked to my brother and his munchkins--who I mostly understand but seriously we need small human translator phones. I'd totally upgrade for that feature. I also relaunched the poll in the last post and I'm going to include the code here too in case you somehow missed it. The votes are split the way they were before but I think with new people voting lol. Have a good one and if you like your dad hug him for me. Unless he's dead in which case do not hug him just think of him and smile. Hey everyone. First let me thank you for voting on the previous poll for those that did. Second let me tell you that thanks to weird settings with Blogger and it's polls that like the help forums said your votes can and did disappear. That was frustrating but as I was digging another site was recommended to me so I'm relaunching the Gray Girl poll and it's much cuter if I do say so myself. I'm also going to repost the photos so you know what each option represents and I even added an extra option if you have something you'd like to suggest that wasn't included in the four original lineup. I've lamented here before about the rapidly gray onslaught my hair is facing. 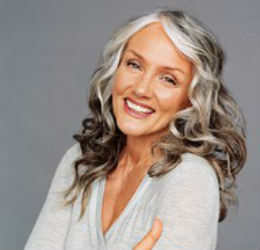 I've had gray hair at this point longer than I haven't had gray hair. My first appeared shortly after the start of puberty (around 12) and was nice enough not to bring lots of friends along until I was in my mid 20s. I aggressively dyed it until about two years ago. I was chocolate, chocolate cherry and eventually blowout burgundy thanks to L'oreal Feria, who make a great hair color I must say. My hair color was always rich and lush and the conditioner was freaking amazing. However, about two years ago I was about three weeks post relaxer and looked up to see the little gray army marching across my scalp like now what broad? I'm sure you're wondering why would you worry three weeks post, surely your color was older than that. Yeah no it wasn't. We'd relax and then hit it with the permanent color and condition the mess out of my hair to make sure it didn't fall out of my scalp. It would result in gorgeous color after my scalp stop reenacting Sherman's march across Georgia (for the non American readers he burnt a lot of Georgia along the way just cause). It is the only hair color I tried that with and I wouldn't recommend anyone else do the same thing but the semi permanent colors would be pointless on my hair. Within a few washes I'd be back to just plain old salt and cayenne pepper (well it was red) hair. Spent the day with my mother and no one came up missing a limb or bleeding. It was actually a good day. Had chorizo quesadillas for breakfast. Watched tennis, fussed about Sloane Stephens, watched more tennis and Say Yes To the Dress: Atlanta--she loves Monty. Decided to make knock off Shiner Bock burgers which warranted a store run and while the recipe is relatively simple ingredient wise it was a little more time consuming than I thought. Anyhoo she loved it and we ate that, fries and watched La Voz Kids on Telemundo (yes it's in Spanish but she loves it). She just left me to go watch Revenge though, feeling abandoned ROFLMAO. Not really. Happy Mother's Day everyone. Oh and if anyone wants the recipe here it goes. Either enjoy Shiner Bock or find someone who is willing to drink what you don't use--you only need half a bottle of beer so keep that in mind. 1. Puree the chipotle in adobo mixture in a blender or food processor until smooth and place 1/4 cup of the can in a medium sauce pot. 2. Add all liquid ingredients to sauce pot and whisk to mix thoroughly. 3. Bring sauce to a very slow simmer. 4. Stir occasionally. Add minced garlic and all of the dry ingredients, whisk to mix thoroughly. 5. Simmer over low heat for 20 minutes, stirring every four to five minutes to ensure the sauce doesn't stick or burn to the bottom of the pot. So I didn't take any photos cause I was being lazy but let's start with the run down and I will share more if you ask. I have been lazy prepooing since I don't have to be anywhere most days and that means I've been doing it MUCH longer than normal. Remember before when I said my hair hates overnight prepoos? Yeah apparently I forgot and while my hair soaked up the moisture like a sponge the back of my hair tangled like no body's business. I know some of the hair loss was just natural shed hair since I wasn't manipulating my hair very much over the course of the week but there more knots than I like to see in my hair. In what can only be counter intuitive for my hair I am going to have to keep my hair straighter and pin it up the further along in my stretch. Either that or do what I saw on another blog recently and start investing in good wigs while my hair stays braided and protected underneath. I've been thinking about that more with the impending move but I really have no idea how to pick a good wig so I'm going to have to ask for help and suggestions with that one the next time I see my stylist. Anyhoo, after I detangled--made sure I sat down so I wouldn't just get impatient and tug until my hair fell out, I put some more conditioner on my ends and then just rolled it up on flexirods after I tied down my edges. I think I can do a small or low bun for the next week or two but that means some youtube tutorials are in my future cause really I am totally not good at the styling part of taking care of my hair. I can do simple things, and yes I know a bun is simple, but you're talking to someone whose hair hasn't been this long since like elementary school before the tragedy--don't ask, it wasn't that bad but my mother thinks it was. This will probably be the shortest Mother's Day blurb EVER but have a great day to all the moms that stop by the blog, or moms in training or moms of the future. Whenever I think of joining your ranks my own mother makes me go why on EARTH would you want to do that. Today was no exception let's just be glad I bought all the gifts for her and my SIL earlier. Thanks to the Blue Grumpster I'm going to make sure I update the pages that are along the top of the page. Some things have happened that require updates to at least one of the pages--two or more I think but I can't be sure lol. I'll also update the hair and weight loss sections too cause I've been slipping on those as well. Have a good one everyone. If you have any suggestions for tutorials or questions you want to ask, or wig stores I should check out just let me know. Back to basketball and Shooter. I have been doing these longer drying times with my hair the last two weeks. I let the hair totally dry without doing a thing to it and then hit it with my leave ins and detangle and style. Surprisingly it seems as though I've lost less hair doing it this way which is a win for me and my hair seems to take less time drying the second time after it's set. The other thing I've noticed is my hair is BUSHY at the roots with nothing on it. It's not a good example of where my hair would be if I chopped it all off but woo it's thick. And don't worry I'm not in a rush to do more than snip the ends. It's taken almost two years to get it from my ears/neck and thinned out to my shoulders and much thicker. I'm debating what to do with it before I leave as I try to find a hairdresser where I'm moving to. And if it keeps holding up I think the upcoming relaxer planned for the end of this month will be pushed to June. Maybe first week of June just in case we decide to braid it up for that transition time. Who knows, I'll talk to my hairdresser about that. I am so gonna miss her, she's a good friend and great stylist. Ahh growing pains. While I was mid drying time I had to run out and grab some things for mom and get a present for my nieces weighed at the post office so I could mail it to them along with mom's presents for them. I should go there more often when I'm looking a hot mess (to me anyway). In what has to be randomness squared whenever I head to the post office and I'm not looking my best and am feeling kinda frazzled I get hit on. Unlike normal however, this guy was cute and younger. If he hadn't been smoking and I had shaved my legs this millenia I may have hopped on in his car and hung out for the rest of the day. Instead I took his number and may call him today or tomorrow. He was adorable and our names would provide a total sing songy thing. Yes I normally hate that on other people but he got a cute pass lol. Okay off to finish doing nothing and downsizing things for the move when I get motivated to do so. Have a great day everyone. 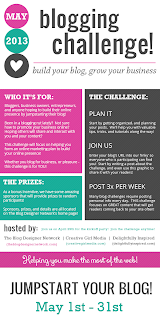 And just because I forgot to add it during the first post here's the list of blogs participating in the Creative Girl blogging challenge. I have been all kind of sluggish and busy the last few weeks so I should update you on what has been going on. Short of washing my hair I had nothing major on my proverbial agenda. Just watching the money to make sure the old lady and I don't get kicked out prematurely. Don't worry we won't but I'm the one that worries about these things because my mother does not. After a talk with my brother yesterday I realized that we both do and again I think it's because my mother didn't. Neither one of us shop for sport. We try to save where we can, we rarely indulge and we're pretty practical. Not bad things to get from a parent I get but we got them because of her not from her which seems different. And another common refrain from our childhood resurfaced in that while my mother provided the financial support the person who raised my brother was me. He's right unfortunately. I helped with the homework, got him to school, signed off on assignments because mom wouldn't or didn't, and when I was leaving for college understanding he was a bit of a dumbass with dumbass friends made sure he went to live with my father who was thrilled to have him and there was much less opportunity for dumbassery. It all worked out for the best for everyone but mom who 20 years post is still a bit bitter about that whole thing. As they say though your reality is largely based on your memory and hers is sketchy about these things. Okay that went totally off tangent, I didn't have much to do. I'm still hunting for a house for the move but I did secure movers at a decent rate and we're moving full steam ahead towards a garage sale/purging of old baggage. It's odd tossing things away, what to keep, what isn't important, what did you bother to get that for in the first place. I have clothes to donate, books and cookbooks to sale and magazines to recycle or toss. I'm not done with one closet so more will be leaving my sphere but it feels good to unburden some of these things from my life. In that vein I was reading a book one of my sorority sisters recommended called 7 an experimental mutiny against excess by Jen Hatmaker. Especially at this moment it seem apropos to read but turns out I don't really do excess as it is. I keep clothes until they kinda come unraveled, I have maybe 15 pairs of shoes but I routinely only wear a few pair, and books are my real only major indulgence. Nonetheless I'm still clearing out even if the book didn't inspire me to do so. Mom can take a few pieces, the rest will go to shelters or donation centers. Heck I'm even getting rid of old movies I know we don't watch or need. It feels good to really downsize for some reason. In the next two months I'll work on shedding as much as I can. Maybe I can move into new digs even more in a sense of who I am and what I want. I've been in a bit of a writing funk lately. Not sure how much you care about my impending (getting more stressful) move or the no longer hunt for a job. And my hair is well my hair. It's growing--good thing--and feels thick as all creation--also good but yeah it's messing with my timeline for the next relaxer. Anyhoo after reading with much glee all the posts last month on Kellie's blog (click here for giggles) I figured I'd look for one to enter for the month of May. Yeah I got lazy but thankfully the Blogger like Me group on FB turned me on to this one and even MORE better as I signed up I was entry 75 which is the year I was born so yeah me lol. It's being sponsored by Creative Girl Media. The photo has information about the requirements if you want to join as well. Click the photo to get the page. I'm in the middle of doing my hair so I'll be back tonight or tomorrow with more of an actual update on life.